Denne model er 175 cm og bruger en størrelse S. Brystet måler 87 cm og taljen 70 cm. While the world sleeps, you work. Brave the dark morning hours and head to the box in comfort with this full zip hoodie. 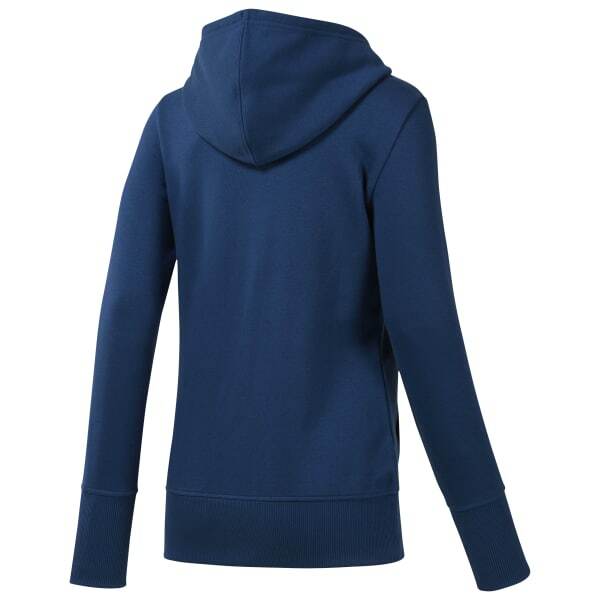 The attached hood and fleece fabric coax you out of bed and get you on your way. When things get too toasty, it zips off in a flash so you can get on with your workout.